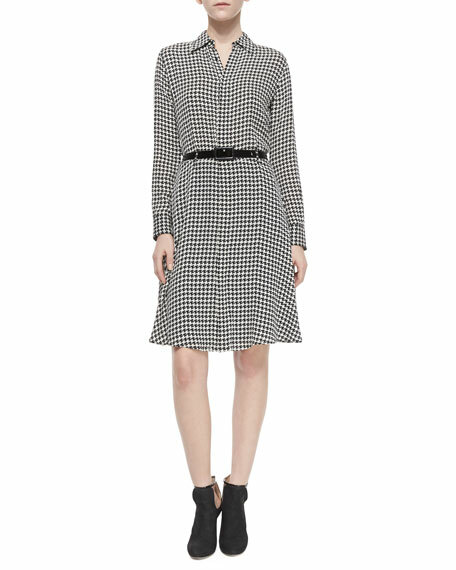 Ralph Lauren silk shirtdress in houndstooth print. 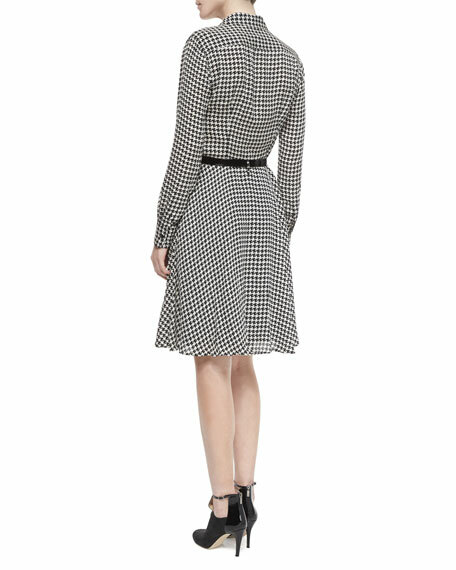 Spread collar; hidden front closure. Belt sits just below the natural waist. For in-store inquiries, use sku #1541838.